Whether you have mountain biking mud in your veins or roll on skinny road rubber, there’s loads to do and see at BikeRadar Live 2009, Britain’s biggest bike bash. Events include the Cycling Plus Sportive (100km and 100 mile), Whyte Night night-time enduros (12hr and 4hr), MBUK Eliminator dual-slalom, Triathlon Plus duathlon and the Devil Takes the Hindmost circuit race. Click here to sign up. Plus cycling legend Graeme Obree, The ‘Flying Scotsman’, will set a Procycling Hot Lap on the Donington Park motor racing circuit to set a time that visitors can try to beat. Obree, who in the early 90s set a new world hour record on his self-designed bike that using the ‘Superman’ riding position which was shortly after banned, will be taking part in a question and answer session in the BikeRadar Live big-top, so go along ask him about his incredible life, career and the film that was made based on his autobiography, The ‘Flying Scotsman’. continue reading "BikeRadar Live at Donington Park, UK, on May 30-31 2009"
Most Americans’ knowledge of cycling begins and ends with Lance Armstrong and the Tour de France. 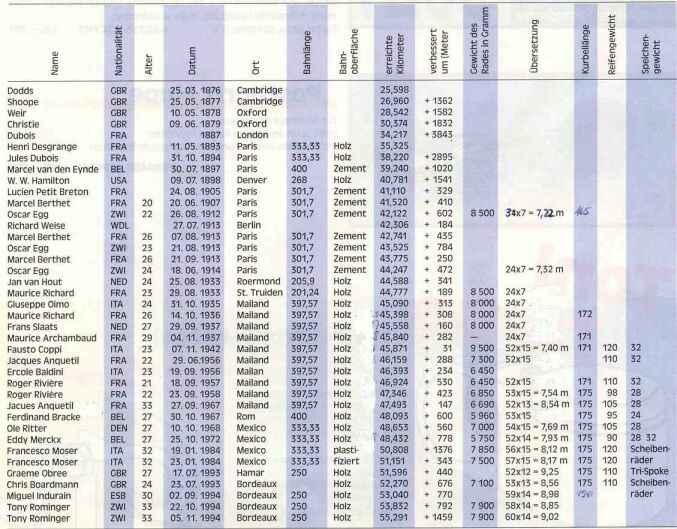 But in Europe—where fan interest is high and press coverage extensive—cyclists are household names. And while the Tour de France is the sport’s most famous and lucrative race, the World Hour Record (WHR) might be its most coveted record. The prestige of the WHR comes as a surprise to many. After all, it’s a simple race-against-the-clock event: Get on a bike; Ride it around a velodrome (a circular, banked bicycle track) for sixty minutes; Then count the laps and the fractions thereof. continue reading "Bike Geek, Graeme Obree and the World Hour Record by John Stesney"
Scottish cycling hero Graeme Obree discusses ‘The Flying Scotsman’, the film based upon his early life and record-breaking career. The biopic stars Johnny Lee Miller as Obree while Laura Fraser portrays Graeme’s wife Anne. 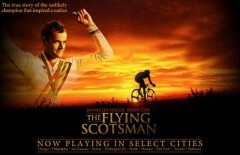 continue reading "Graeme Obree – The Flying Scotsman speaks"
This is a short review by David J. Anderson from AgileManagement.net of the film ‘The Flying Scotsman‘ about the life of Graeme Obree. For a while I’ve been thinking of doing a series on some my favorite management inspiration figures – my heroes of management, if you will. Well this first post isn’t about management, rather its about my other passion – biking. Please go over to the AgileManagement.net site to read to full review. 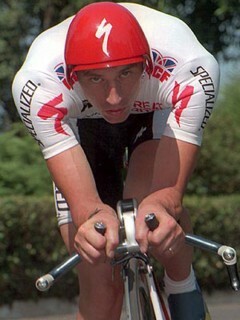 continue reading "Graeme Obree – ‘The Flying Scotsman’ review by David J. Anderson"
continue reading "Graeme Obree Documentry Part 8"
continue reading "Graeme Obree Documentry Part 7"
continue reading "Graeme Obree Documentry Part 6"
continue reading "Graeme Obree Documentry Part 5"
continue reading "Graeme Obree Documentry Part 4"